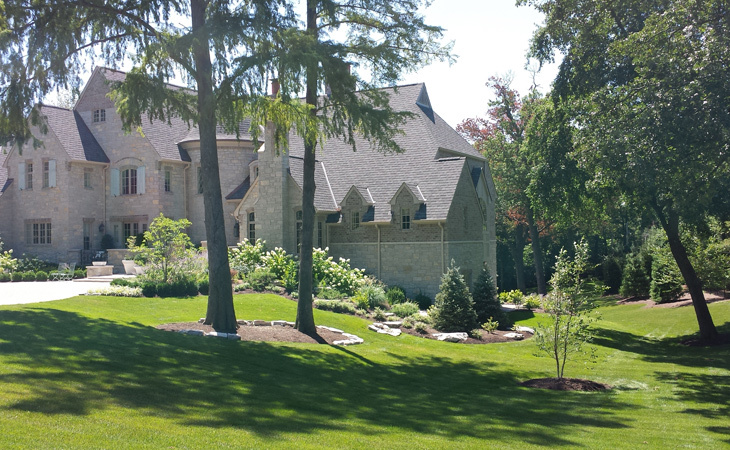 SFP Landscaping provides a full range of landscape maintenance for St. Louis area homes and luxury estates. We take personal care to ensure your landscaping needs are met. SFP works directly with you to build a custom, year-round maintenance plan to enhance the beauty and value of your home. Whether you need weekly maintenance or seasonal maintenance, SFP horticultural experts insure your landscape investment is properly maintained. From the greenest lawns and pristine garden beds to the most satisfied clients, SFP diligently maintains the highest standards in St. Louis area lawn care and landscape maintenance. And, if you’re interested in commercial landscape maintenance, SFP Landscaping is the commercial landscaping company of choice in the St. Louis area, offering complete turnkey maintenance programs for all types of businesses.